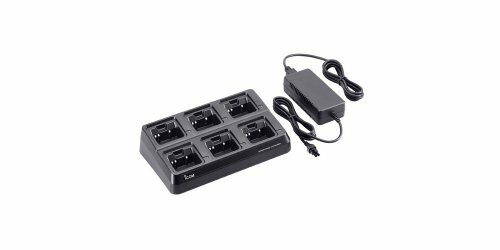 The Icom BC-197-22 multi-charger is great for those that need to charge several radios at a time and to also keep them organized. If you are tired of messing with several individual chargers and all of the power cords, this may be the solution you need. At a glance you will know how many radios you have available, and which ones are charged and ready for use. The BC-197-22 is intended for use with BP232N/H Li-Ion batteries.